I have been in pastoral ministry for over 21 years now. I started my first pastorate when I was 17-years-old, still a senior in high school. I served Mt. Sinai Missionary Baptist Church in Los Angeles for almost 18 years. And it has been my privilege to serve the Shiloh Metropolitan Baptist Church in Jacksonville for a little more than 3 years now. I have learned a lot about pastoral ministry over these years. Of course, I still have quite a bit to learn. I hope to be a lifelong learner. But I am not a rookie anymore, either. I recently began to list things I have learned over the years. These are not deep, theological, doctrinal truths. Just personal conclusions I have made about ministry through two decades of observation and experience. This is not a scientific list. It is in no particular order of importance or category. Just a collection of thoughts. I am sure the list would be much longer if I kept writing. And I would probably replace some things with other things, if I took more time with it. 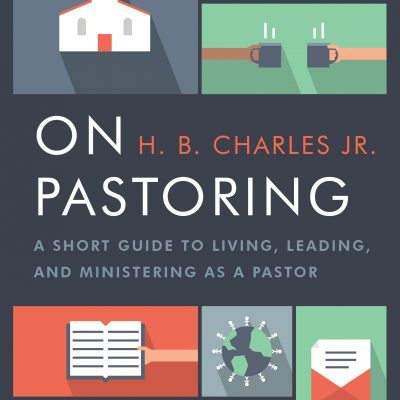 But for whatever it’s worth, here about 103 things about pastoral ministry I have learned along the way. 1. 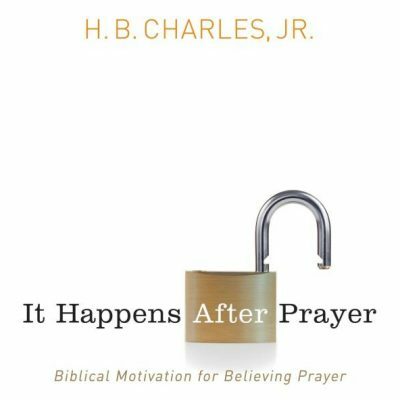 Your primary responsibility as a pastor is prayer and the ministry of the word (Acts 6:4). 3. Faithful preaching does not guarantee church growth. 4. Just because there is a crowd does not mean there is a church. 5. Nothing is as good as it seems; nothing is as bad as it seems. 7. All church fights are bad. But some church fights are necessary. 8. It happens after prayer. 9. The most important people in a pastor’s life are those he can have an honest conversation with. 10. Be careful of giving members multiple positions of authority in the church. 11. Ministerial success cannot be determined by the size of a pastor’s congregation. 12. Preaching can get you into trouble. And preaching can get you out of trouble. 13. No one is indispensable. 14. The better the worship is the better my preaching is. 15. Pick your battles carefully. Every hill is not worth dying on. 16. People will remember how you treat them long after they have forgotten your sermons. 17. Prominence and significance are not the same thing. The one who is in front of the line is not necessarily the most important person in the line. 18. If you take care of God’s business, God will take care of your business. 19. The pastor who is always available will be of no use when he is available. 20. Doing pastoral care should be seen as a means of maintaining a pastoral heart. 21. If you can keep from preaching, do it. 22. The pastor is just as responsible for the doctrine being taught from the choir loft as he is for the doctrine being taught from the pulpit. 23. Congregational leaders who view their role as representing the members will be a problem. 24. There are no better minds, only better libraries. 25. Be a friend to other pastors and preachers, even if they are not friends to you. 26. Strive to make it easier for the next guy who comes to pastor that comes to pastor the church than when it was when you arrived. 27. You will only get what you negotiate, not what you deserve. 28. If they don’t trust you, you can’t lead them. 29. View pastoral ministry as a marathon, not a sprint. 30. Never buy the lie that the church will not survive if you are not there. 31. If you guard your character, your reputation will take care of itself. 32. Beware. People who loved you when you first arrived may change their minds. Don’t panic. People who dislike you when you arrive may also change their minds. 33. Don’t be impressed by titles, degrees, and accomplishments. People are people. 34. Make friends with books. They will never leave you nor forsake you. 35. Do not read anonymous mail or unsigned letters. 36. Learn to live with criticism. 37. You cannot lead people and need people at the same time. 38. God’s timing is perfect. 39. Every pastor needs a lover. Just make sure it’s your wife! 40. Never let anyone make you act like you don’t know Jesus. 41. A bow that is always bent will soon break. 42. Never give up on anybody. 43. Pastoral loneliness goes with the territory. If you cannot take it, you won’t last in the ministry. 44. Our goal in preaching should be to light a torch, not fill up a bucket. 45. The shepherd knew that one of his ninety-nine sheep was missing because he counted! 46. Some hurtful people are not intentionally mean. They are just thoughtless. 47. Comparison breeds contentment, damages relationships, and clouds vision. 48. Do not put a price tag on your ministry. 49. The one who is given the responsibility should also be given the authority. 50. Just because that person is talent, gives a lot of money, or has been a member a long time does not mean that person should be a leader in the church. 51. Aaron was more “spiritual” than Moses. And Joshua was a better leader. But the Lord put the rod in Moses’ hand. 52. Disgruntled members will not have an opportunity to get a foothold without linking their cause to weak leaders in the church. 53. Pastors often spend more time in conflict resolution than in prayer and the ministry of the world. 54. Put first what God tells you to put first when he tells you to put it first (Matt. 6:33). 55. Every pastor needs a pastor. 56. Do not make important decisions when you are tired or angry or hurt. 58. 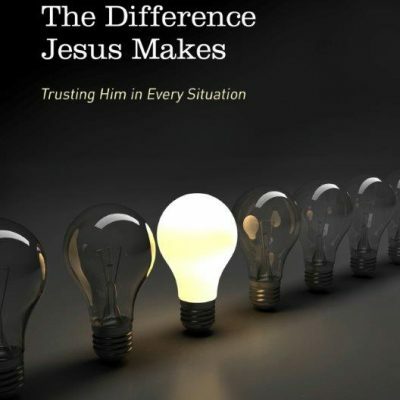 Most of the theories in church growth books are wrong. 59. People do not give to needs. They give to vision. 60. Excellence is in the details. 61. The power is in the pulpit. Change does not happen by your shrewd leadership. It happens by faithfully preaching the word of God and the testimony of Jesus Christ. 62. If you do not control your time, someone else will. And they most likely do not share your priorities. 63. Closing the back door may be more important the opening up the front door. 64. The attempt to micromanage a growing congregation will lead to moral failure, burnout, or unnecessary division. 65. Avoid hero worship. Everyone God uses is a jerk and a sinner. 66. Long naps are a key strategy for spiritual warfare. 67. Powerful and important theology is communicated by simply being there with and for your people. 68. The person who has to announce that he is charge, really isn’t. 69. Write everything down. Your memory is not that good. 70. It is better to work smarter than to work harder (Eccl. 10:10). 71. Stingy pastors will never produce generous members. 72. Work hard to get the right players on the team so will not have to work hard to get the wrong players off the team. 73. Many pastors feel overworked. Many church members feel pastors do not really work. 74. Constantly look for ways to make Baptism and the Lord’s Supper special events in the life of the church. 75. Preach to an audience of one. 76. When you leave a church, leave! Do not meddle in the next pastor’s business. 77. You cannot get to second base and keep your foot on first base at the same time. Progress requires taking risks. 78. Do not be afraid to repeat sermon material. Most of your members do not remember what you said. And those who do still need to be reminded. 79. When a member brings you a complaint against another member, ask, “Have you talked to that person about this?” If they have not, refuse to listen to them. 80. When you staff does succeeds, give them credit. When they fail, take the blame. 81. The fact that the attendance is increasing does not mean that the giving will increase. 82. 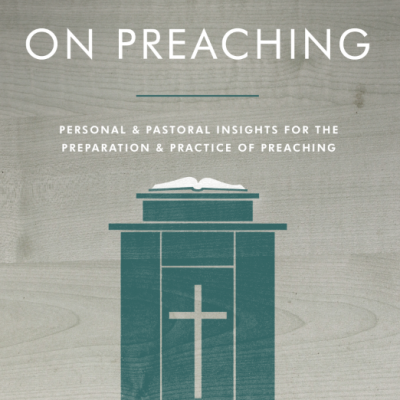 Avoid being the hero in your sermon illustrations. 83. You need to worship just as much as the congregation does. Do not miss the opportunity to worship by going over your sermon. Worship! 84. The command to “do the work of an evangelist” was given to a pastor. 85. Your wife and children are your most important church members. 86. The difference between good preachers and average preachers is that good preachers stay in the study until the hard work is done. 87. Fight for your convictions. Do not fight over methodologies. 88. A cynical preacher is an oxymoron. 89. Do not plagiarize the Holy Spirit by taking credit for things the Lord has done. 90. Dig your own wells so you will not have to steal other people’s water. 91. Do not feel that you have to reinvent the wheel. Learn from others. And implement what is helpful and applicable to your situation. 92. Sermons don’t grow in trees. 93. God raises up all kinds of churches to reach all kinds of people. Your church will not fit everyone. 94. People say no to what is confusing. 95. Short-term missions should have long-term goals. 96. Tradition can be good. Traditionalism never is. 97. Constantly try things that are so great that you are doomed to fail without God’s help. 99. Never refuse any resignations. Ever! 100. Don’t take it personal. Even when it’s personal… don’t take it personal. 101. It is your job to fill the pulpit. It is God’s job to fill the pew. 103. If you can explain what’s going on, God didn’t do it.